Oakland Glass Ltd are the premier manufacturer of Double & Triple glazed insulated glass units, Oaksoft™ Energy Saver, Oaktough™ toughened safety glass, Oaksafe™ laminated, Oakspecials™ Decorative & Bespoke glass and the home of Super Spacer® Warm Edge technology. Oakland Glass Ltd is recognised as an industry leader in the production of Double Glazed units, attaining the highest performing and lowest U values possible with current technology and production methods available. 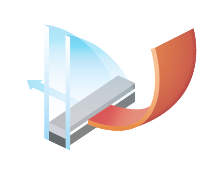 Using the very latest coated glass, Oaksoft™ contains Low E glass which usually forms the inner pane of an IGU. The glass has a transparent metallic coating that reflects heat from radiators back into the room, rather than allowing it to escape through windows. At the same time it allows free heat & light from the sun to pass through the glass, warming your home & further contributing to the energy efficiency of your windows. Oakland Glass offer Decorative & Bespoke glass solutions, including: Georgian, Duplex and Leaded units. Quality at the heart of our glass. Welcome to Oakland Glass Ltd, the premier manufacturer of Triple & Double glazed insulated glass units, Oaksoft™ Energy Saver, Oaktough™ toughened safety glass, Oaksafe™ laminated, Oakspecials™ Decorative & Bespoke glass and the home of Super Spacer® Warm Edge technology. Oakland Glass Ltd were established in 1986, in Dewsbury, in the very heart of West Yorkshire. With our continued investment in the latest technology for glass production and quality control, and our expertly trained staff, Oakland Glass Ltd are defining new standards for others to follow.